Breathing is essential for human survival. But what would happen if we experience an interruption in breathing or shortness of breath? Surely it could lower the quality of our lives. Shortness of breath itself is the condition when you have trouble breathing or not getting enough air intake. There are several causes that lets you breathless. Want to know what are the causes? Disorders of the heart such as heart failure, heart attack, or arrhythmias of the heart. 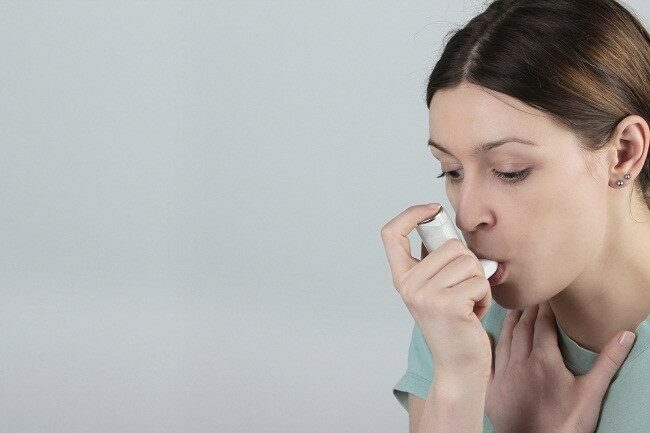 Of the conditions mentioned above, the common causes of shortness of breath often trigger condition is asthma, diseases associated with lung and heart. Shortness of breath caused by the condition usually takes place in the long term. To find the cause of shortness of breath you feel, you should see your doctor for further examination. Typically, the doctor will ask you and your family health history. Physical examination and various tests will also be performed, for example, blood tests, chest X-ray and spirometry breathing test. Respiratory spirometry will be known how much air you can exhale and how fast you exhale. This test can also be used as a tool to diagnose whether you suffer from COPD or not. Allergy testing may also help the doctor determine the cause of shortness of breath. One main cause is asthma, but the biggest triggers of asthma is allergic. In most cases, the doctor will use a method CT scan or X-ray to determine the condition of the heart, lungs, as well as your bones. Knowing the exact cause why your shortness of breath is very important because it will be used as a benchmark for the shortness of breath experienced to handle effectively. Handling shortness of breath is not the same in each individual. Therefore, it needs a precise diagnosis of the cause of shortness of breath. If you experience shortness of breath due to asthma or allergies, then you need to do is avoid the elements triggers, such as dust, cigarette smoke, air pollution, fur pets, or pollen. Keep always the cleanliness of your home to be free from dust, fleas , or mites. Taking drugs can do to deal with shortness of breath due to allergies, such as decongestants and antihistamines. Both of these drugs can accelerate the process of breathing air. If you have severe allergies, is likely to be given a steroid inhaler. Inhaled medications can also be applied by patients with sinusitis. People with asthma can be treated with drugs that are inhaled or drunk. The goal is to help alleviate or prevent airway obstruction and excessive mucus production. If you are undergoing treatment with inhaled medicine, make sure the supply is adequate and the tool works well. Quitting smoking can also accelerate your breathing. In addition, smoking can also give other effects, the risk of heart disease, lung disease, and cancer. Diet can also be done if you experience shortness of breath because of obesity. By losing weight to a healthy level, breathing can be more relieved. Also avoid strenuous activity when it is in place with a height of over 1500 meters. For those of you who experience shortness of breath due to a serious illness, may have to undergo treatment or taking certain drugs from the doctor. Consult your doctor about what treatment is right for you. If you experience shortness of breath accompanied by high fever, chills, cough, swelling in the legs, lip color to blue, or shortness of breath worsened, immediately visit a doctor as soon as possible.